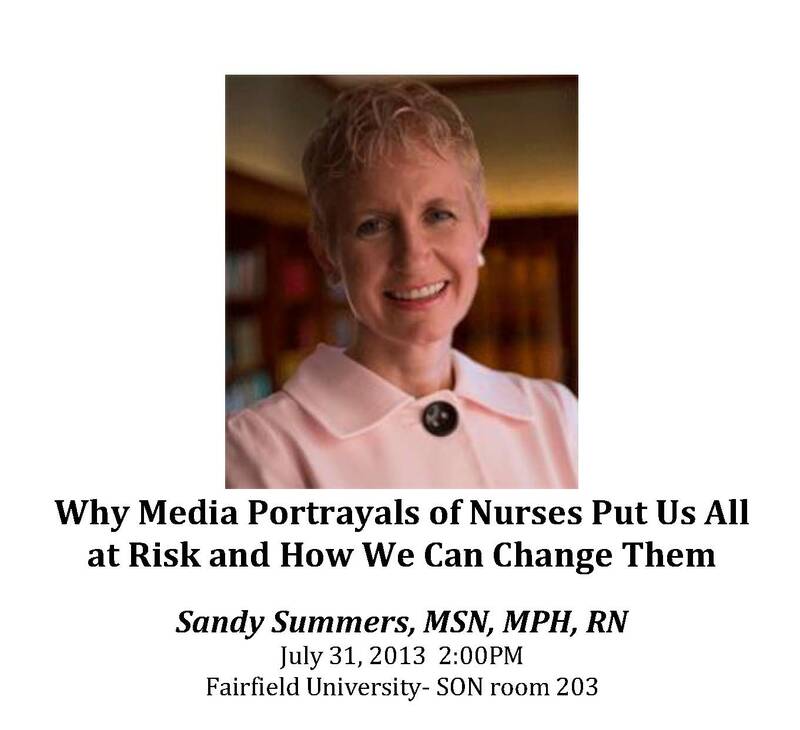 Please join the Connecticut Nurses Foundation and Fairfield University’s School of Nursing for a special lecture and Q&A session with renowned author and nursing advocate, Sandy Summers. Sandy Summers is the Founder and Executive Director of The Truth About Nursing. Since 2001 she has led the effort to change how the world views nursing by challenging damaging media depictions nurses. Ms. Summers is the co-author of Saving Lives: Why the Media’s Portrayal of Nursing Puts Us All at Risk. Her media advocacy work began when she and fellow Johns Hopkins graduate students began the movement in April 2001.She speaks frequently on nursing’s image and empowering nurse to change how they are perceived.